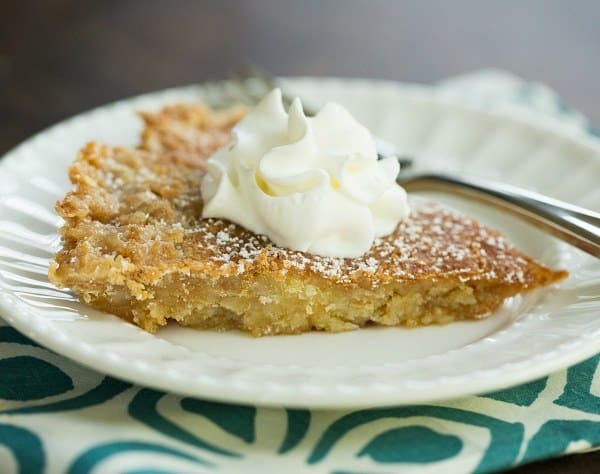 I have heard countless stories about the famed Crack Pie from Momofuku Milk Bar in New York City. I’ve never been there myself, but based on the lore, I could only imagine how amazing it must be. Awhile back, I gifted myself with the Momofuku Milk Bar cookbook, which is where the recipe for the compost cookies I made last year originated. I hadn’t paged through that cookbook in quite some time, and after picking it up a couple of weeks ago, I remembered that the Crack Pie recipe was included at the very end of the book, as a “bonus track”, for anyone who grew up listening to cassette tapes or CDs. I was long overdue on making it, and finally dove right in. At first glance, the recipe is long with multiple steps, but I’m glad I finally got right to it. Spoiler: it’s not nearly as difficult as it seems at first glance! This recipe is comprised of three parts: making an oat cookie “slab”, if you will… using said cookie as the base for the pie crust… then the pie filling itself. 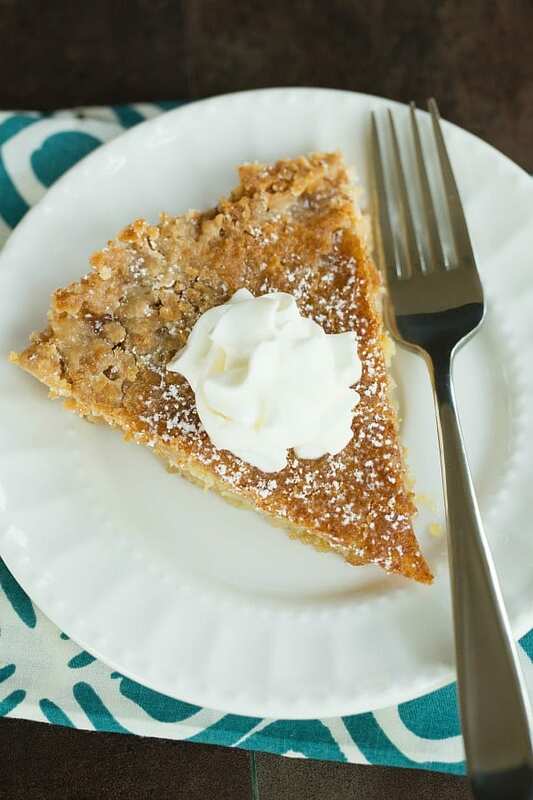 I looooved the oat cookie crust! It definitely added a great complementary flavor to the filling. As for the pie itself, I think the best way that I could describe it is a pecan pie without the pecans… or the corn syrup. 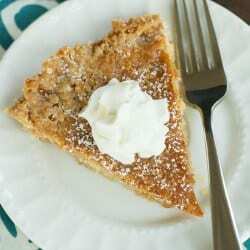 I’ve also seen it compared to chess pie, although I’ve never had chess pie, so I can’t vouch for that. The filling sets up a little bit soft and gooey and sweet and, well, perfect. 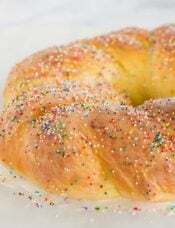 Come to think of it, it’s a bit like the “gooey” part of a gooey butter cake. It’s sort of a custard, but sort of not. 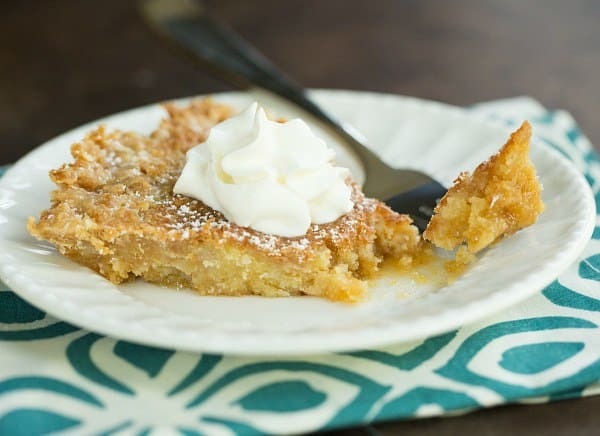 If you like pecan pie, chess pie or gooey butter cake, I think you’ll love this! I cut this recipe in half and only made one pie. In retrospect, it would take zero additional effort to make two and then you’d have one in the freezer for surprise company! The recipe calls for 10-inch pie plates and the author uses disposable foil tins. I attempted to use my 10-inch ceramic pie plate, but the crust wouldn’t adhere to it, as it was sort of slippery. I ended up using a 9-inch glass plate, which held the crust better. HOWEVER, if you use a 9-inch pie plate, it will take longer to set up in the oven than indicated in the recipe below. Go by the visual clues noted in the recipe. Next time, I would probably just go to the store and get the throwaway foil pans. The author very adamantly states that the filling MUST be made with a stand mixer and a paddle attachment. She said the same texture can’t be achieved through mixing by hand or using a hand mixer. One ingredient that left me scratching my head was “corn powder”. It’s described in the book as freeze-dried corn (not just frozen corn) that has been ground in a food processor into a powder. I honestly wasn’t about to try to track down freeze-dried corn, so I substituted cornstarch. I have no idea how much that may have affected the final product, but if you have freeze-dried corn readily available to you, go for it! Just use ¼ cup of the ground powder. When all was said and done, this was easier than I anticipated and the pie was met with rave reviews. I can’t compare it to the original since I’ve never had it, but based on what I’ve read, I’d say it came out pretty darn close. Grab a fork and dig in! The popular pie that has a cult following. Think pecan pie without the pecans! Make the Oat Cookie: Preheat oven to 350 degrees F (177 degrees C). Line a cookie sheet with parchment paper or a silicone baking mat. Combine the butter and sugars in the bowl of a stand mixer fitted with the paddle attachment and cream together on medium-high speed for 2 to 3 minutes, until fluffy and pale yellow. Scrape the sides of the bowl and, on low speed, at the egg yolk and increase the speed to medium-high and beat for 1 to 2 minutes, until the mixture is pale white. Again, scrape down the sides of the bowl and, on low speed, add the flour, oats, salt, baking powder and baking soda. Mix until the dough comes together and there are no remnants of dry ingredients, about 1 minute. Turn the dough out onto the prepared baking sheet and, using an offset spatula, spread to a ¼-inch thickness (it won't take up the entire sheet). Bake for 15 minutes, or until the middle of the cookie is puffed, but the edges are firmly set. Cool completely before using. Make the Crust: Preheat the oven to 350 degrees F (177 degrees C). In a large bowl, break up the oat cookie into small crumbs resembling wet sand. Add the brown sugar and salt and stir to combine. Add the butter and use a rubber spatula to stir and press the mixture against the sides of the bowl until a cohesive mass forms. If the crust is not moist enough to form a cohesive mass, melt an additional 1 to 1½ tablespoons of butter and mix in as before. Bake the Pie: Place the prepared pie plates on a sheet pan. 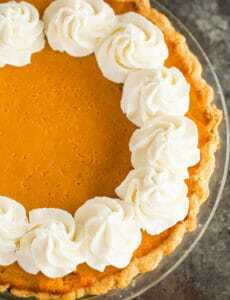 Divide the filling evenly between the pie crusts; the filling should only fill the plates about ¾ of the way full. Bake for 15 minutes, until the pies are golden brown on top but still very jiggly. Open the oven door and reduce the oven temperature to 325 degrees F (163 degrees F). 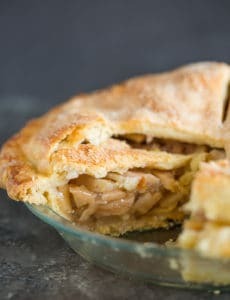 Leave the pies in the oven and the oven door open until the temperature reaches 325 degrees F. Once it does, close the oven door and bake for 5 to 10 minutes longer, until the pies are jiggly in the very center, but set around the outer edges. Just prior to serving, dust the pie with powdered sugar. Serve with a dollop of whipped cream. What other kinds of pie do you think would be good to use this same crust for? I have made 4 Crack Pies now and I’m making more! I did order Corn Powder from their website though and there is enough for a lot of pies. I wanted to use all the right ingrediants at least the first time. It was a big hit and was requested to be made again by several people. I do wonder what happens if you don’t get every speck of egg white off of the yolks though and what happens if you use a hand held mixer? I am an official crack pie addict!!!!! 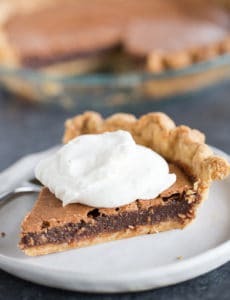 Hi Anne, I am going to make this crack pie today and have been scouring comment sections with this recipe to try to figure out “what happens if you don’t get every speck of egg white out”…did you ever find out? 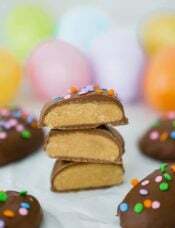 I’m not the best at separating eggs, so I’ve held off on making this recipe because the idea of getting all of the egg yolk away from the white is daunting to me! Hello! I have made this pie 5 times now and Everytime it hasn’t turned out. It’s more like toffee. It darkens quickly. And doesn’t set. All the pictures I’ve seen and it’s light and looks more like a custard. I’ve tried turning the temperature down. This last time it stayed light on top longer but I turned it down to 315 and it still darkened within 5m and was still quite jiggly. Any suggestions or can you tell me what the texture is of the pie once it’s done? Thank you! Question though: I over filled the pies and am not sure what temp or how much longer to adjust to compensate. I’m afraid too long at 350 will almost curdle it. Help! Hi Holly, Hmmm I don’t think it would curdle, but you may want to just cover with foil so it doesn’t brown too much. I used 9 inch glass pan and it’s very hard to cut into the crust. It was also gooey. How much more did you bake the pie for? 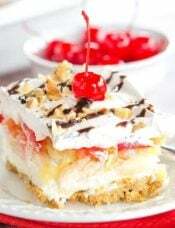 Hi Natasha, I don’t remember off the top of my head, but I used the visual cues in the recipe (set on the outside but still jiggly in the middle). Hi Michelle, did you cover the pie when you put it in the freezer overnight or leave uncovered and then cover after that? Thank you! Hi Carolyn, I didn’t cover them because I was serving immediately; you only need to cover them if you want to store them longer-term. Thanks Michelle….did you do overnight or just the 3 hours uncovered? Can’t wait to let you know how they turn out!!!! I am grinding the corn today and making the cookie part tomorrow….the rest Saturday! 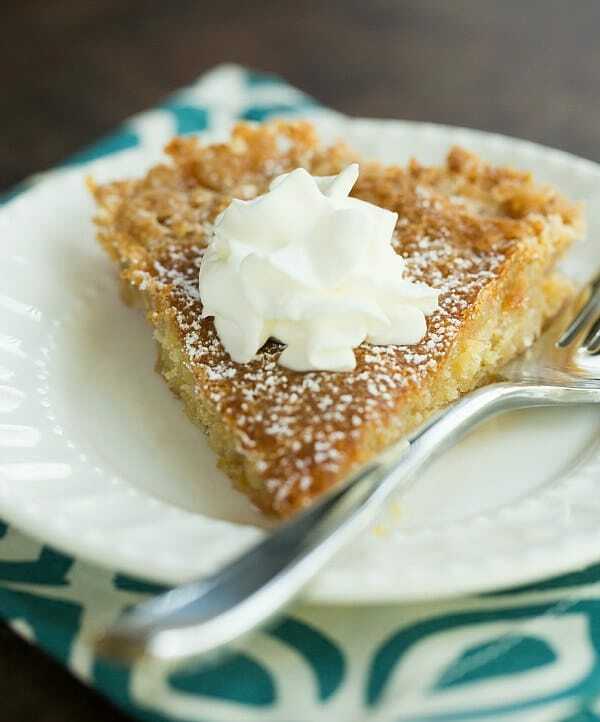 This crack pie recipe is golden! 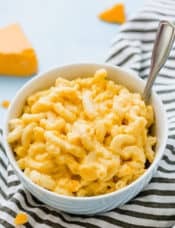 I love your recipes and blog! Are you interested in becoming Chicory’s recipe partner? Hi Ash, I use a scale to ensure that the egg yolk is exactly in half, but you could definitely eye ball it; I don’t think it should be too difficult. I have ordered the pie from Momofuku before and yours looks just like it. I keep wanting to make it at home but I never get around to it. It’s so nice to know that I can use cornstarch. 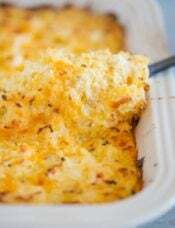 I also think baking it in a smaller dish so that it will be a little thicker is great. That was the one thing I wanted to change about the original. I wanted it to be thicker. I am so excited to try this! I recently watched season 1 of the PBS show ‘Mind of a Chef’ on Netflix Which features Momofuku’s owner/head chef David Chang, there’s one episode called Sweet Spot where Christina Tosi of Momofuku Milk Bar makes the famed corn cookies and makes an ice cream pie using the corn cookies as the crust… I’ve been thinking about replicating the recipe ever since! Now that I’ve seen this recipe, it’s apparent that I have some choices to make while I wait for Momofuku to open here in DC. I’m definitely going to check out my local target to see if I can find the corn and I definitely need to pick up a copy of this book… Thanks for the recipe! 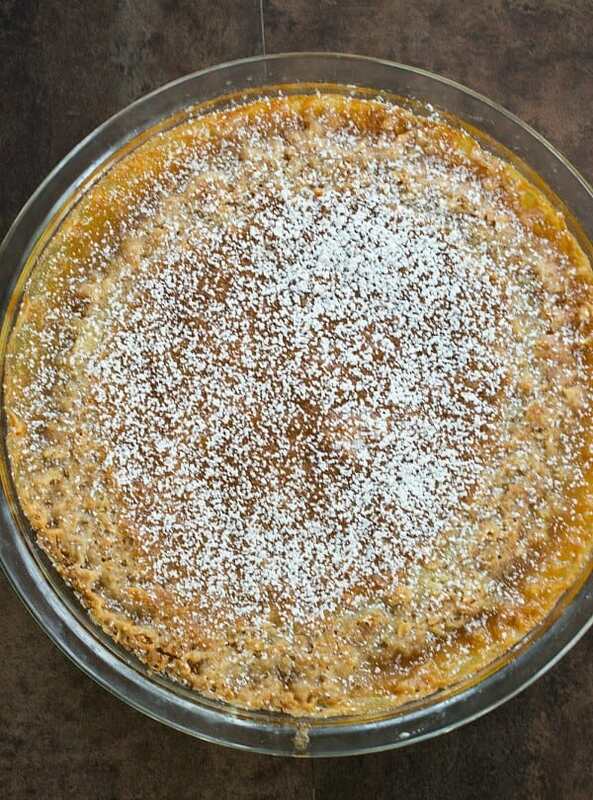 I have never heard of Momofuku Milk Bar or cookbook, but am definitely going to try this pie! Thanks for the clear directions and photos. This is on my list to make. I have wanted to for a long time. I have heard marvels about it. I saw this on one of the Cooking Channel’s programs. Had wondered about it, how to get recipe, and you (again) have come through! Am making for a monthly get together with several of my friends. Of course will have to make a test pie to see if better half approves. I talk about it above in the blog post in the notes – the original recipe calls for corn powder, which is freeze-dried corn that has been pulverized in the food processor. I couldn’t find any, but other readers have noted seeing it at Target. You would use the same amount of the powder as I used cornstarch. 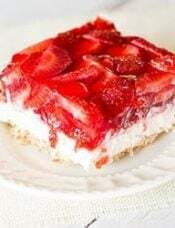 I’ve not made this yet, but I’ve made several other recipes from the cookbook and I LOVE it! I got my freeze-dried corn at nuts.com, but I also saw it at Target after the fact. The corn cookies are absolutely delicious! For the milk powder (in a few cookie recipes), I used King Arthur Flour’s version, as that is what I had on hand. That one is whole milk powder, but I think it says in the Milk Bar cookbook intro (the section where she talks about specific types of ingredients and equipment) that nonfat is OK.
She is speaking at an event in Richmond in late October and I am unbelievably excited to attend! !